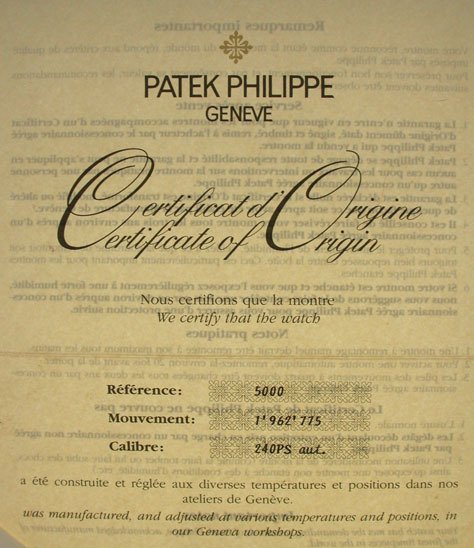 Fine Patek Philippe pink 18K gold reference 5000 Calatrava wrist watch with box, papers and blank certificate circa 1996. Plain polish case with sapphire crystals front and rear. 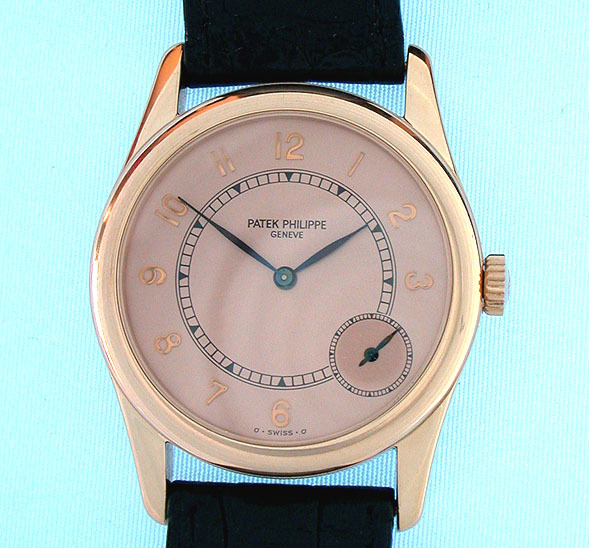 Pink gold dial with applied pink gold numerals and black hands. 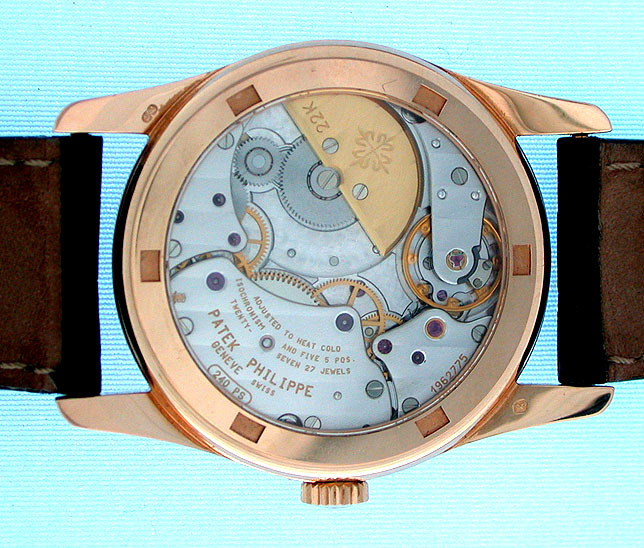 Calibre 240 PS automatic 27 jewel 7 adjustment movement with 22K gold rotor and free-sprung gyromax balance. 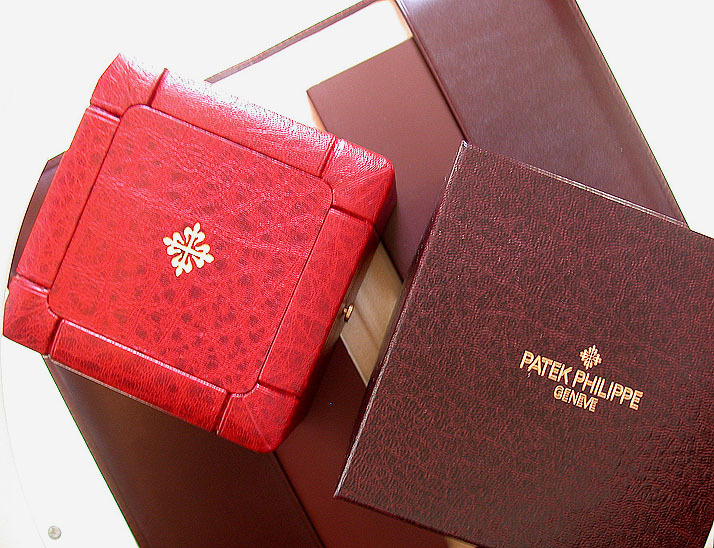 With original gold Patek buckle, inner and out boxes, suede pouch, and papers. A very handsome design, the watch appears to have been worn just a few times.